The traditional technologies for texturing moulds are now semi-manual and capable of doing engravings that are two-dimensional or, at most, have two levels of drilling depth. Laser markers go beyond this paradigm. 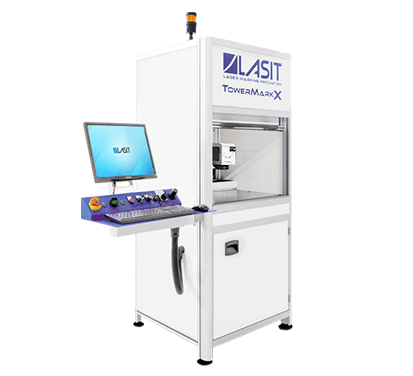 3D texture can be achieved automatedly and repeatably by means of laser ablation. 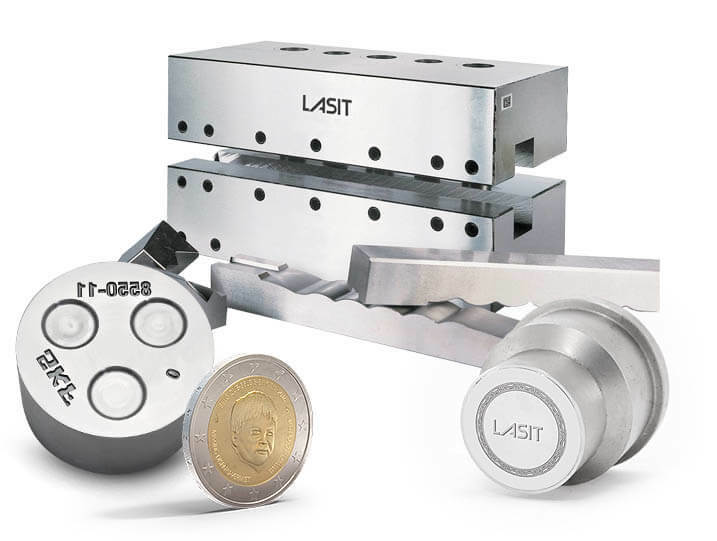 More specifically, laser engraving on moulds makes it possible to give the metal surfaces microstructures, very fine wefts, markings, writing etc., in two or three dimensions; in other words, to make parts and moulds with surface finishes that resemble the natural fabric, or the animal skin (crocodile, for example), or pure design geometrical elements. 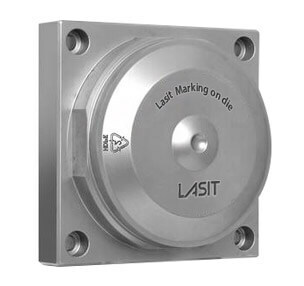 Do you need to mark or engrave on your moulds? Find out right away what is the ideal laser marker for you. Choose the features you want and we'll take care of the rest! 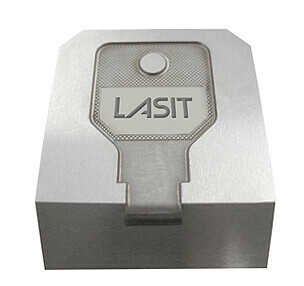 Laser engraving on moulds guarantees versatility, precision and economy. 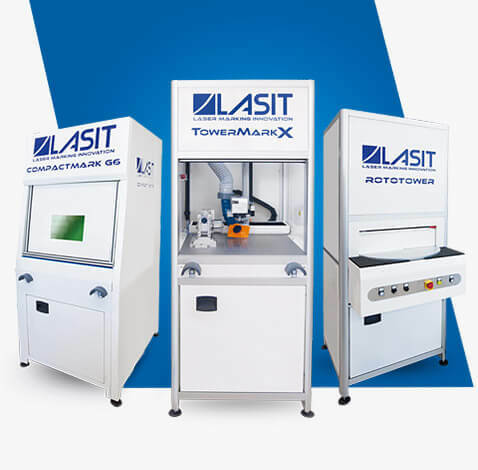 In fact, the preliminary cleaning and subsequent lubrication required are no longer needed with laser engraving, since it is possible to directly mark even lubricated parts because this reduces the processing phases and increases efficiency and productivity. 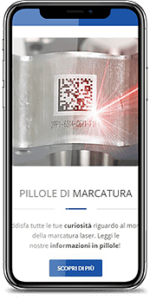 Mark and engrave logos, any type of alphanumeric writing, barcodes, progressive numbers, designs, data matrixes and graphics, from the most simple to the most complex. It can create small, detailed geometric shapes with the utmost precision. You can combine marking processes to clean the material after processing or to give the marking greater contrast (e.g. Data Matrix codes). On many types of metal it is possible to achieve completely seamless and indelible markings: the tone is in fact achieved not via removal but rather through localized heating of the material. 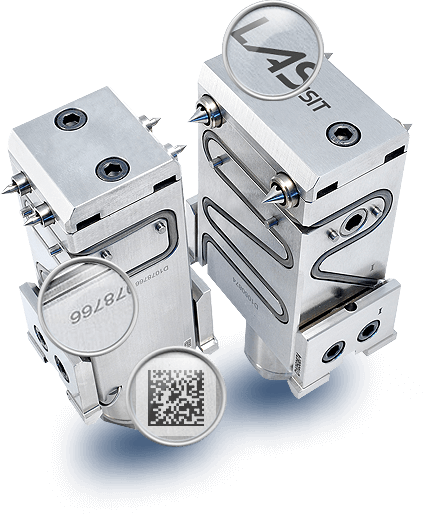 Product traceability is forever guaranteed, since laser marking on metals is permanent and resists both wear and contact with acids or heat. Laser marking is a fast process offering unparalleled quality, it allows creating different types of markings (e.g. serial numbers, logos, codes) in extremely short timeframes without having to re-fit the machine. It does not involve any costs for consumables such as inks, pastes or sprays and no costs for their expensive disposal. No prior or subsequent treatment is required. The equipment has no wear and tear problems. 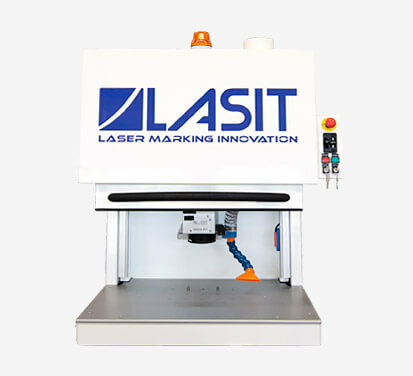 We design and produce customised laser machines, even with extremely complex automations, for laser marking and engraving. 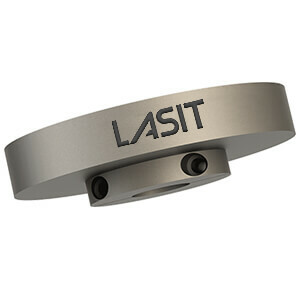 From design to execution, from assembly to delivery, LASIT handles every single process internally without go-betweens, with the excellence and quality of “Made in Italy”. 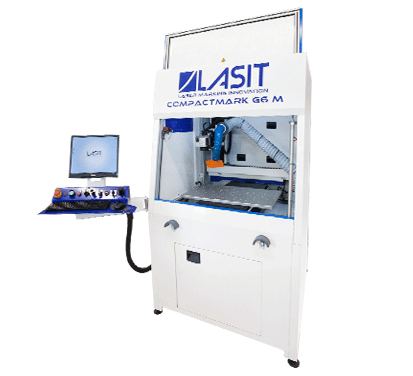 Over 30 years of experience and hundreds of models developed, from simple laser engravers to fully automatic complex systems made for customer needs. DO NOT WAIT, JOIN TO THEM! Free of charge and without any commitment we can provide you with a sample test of your subject marked onto any material you request. Fill out the form next to it, leave your number and we will call you NOW! Social Capital: € 1,154,000 full paid up. By registering you confirm that you accept ours privacy.